Just admit it, we're a disaster and we've got our computer's hard drive full of rubbish, with loads of duplicate files that occupy too much space and plenty of untidiness. 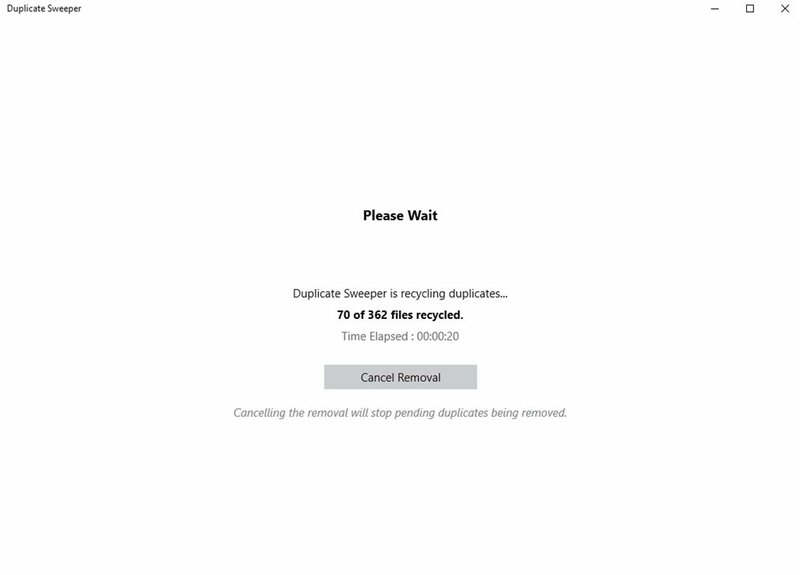 Well, we can solve this problem with a software of the likes of Duplicate Sweeper. 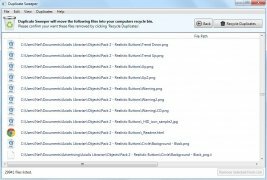 This is a tool that can help you to recover space on your hard drive and organize your folders better. 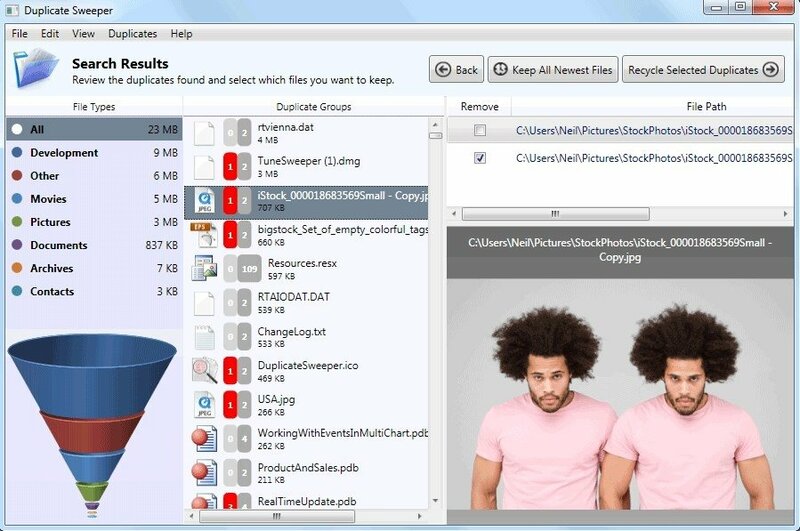 Developed by Wide Angle Software, it's capable of scanning your hard drive in depth to carry out a smart detection of each element you've copied more than once and suggest you removal options. For such purpose, it's based on an algorithm that identifies them even when they've got different names. 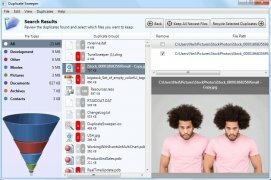 A useful tool to recover space on your PC. 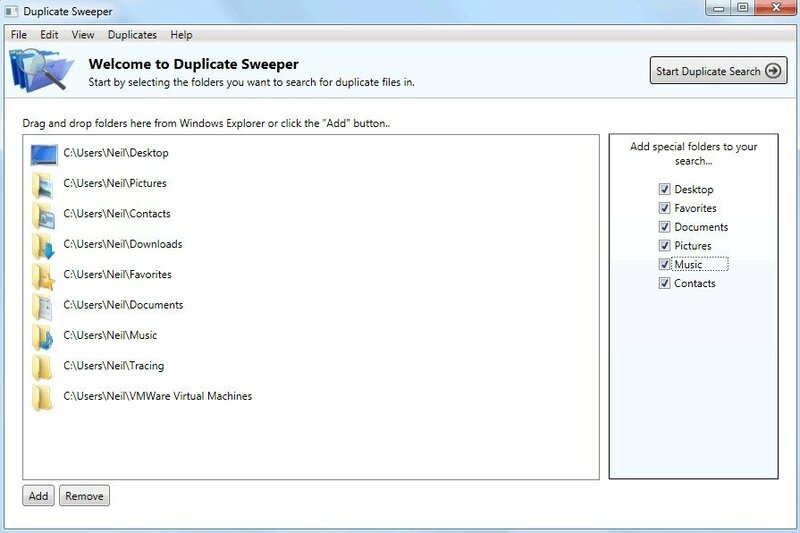 Detection of duplicate files even with different names. 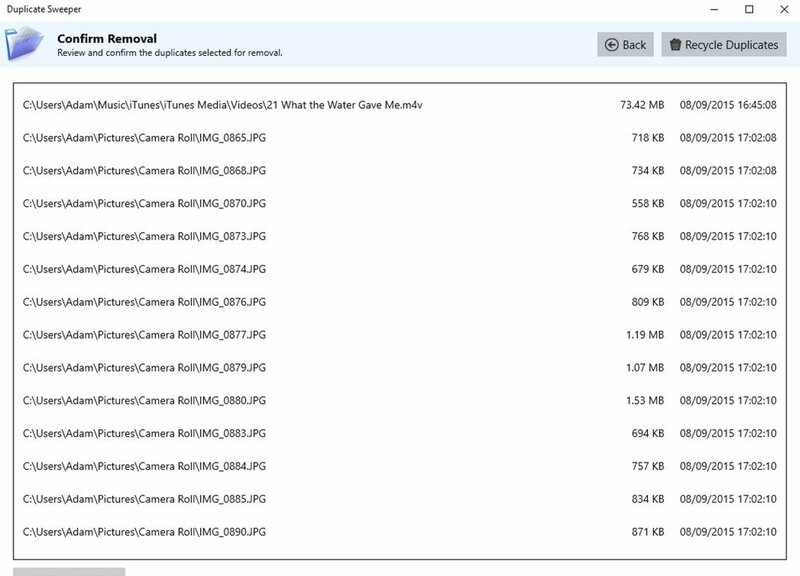 Selection of files according to their creation date. 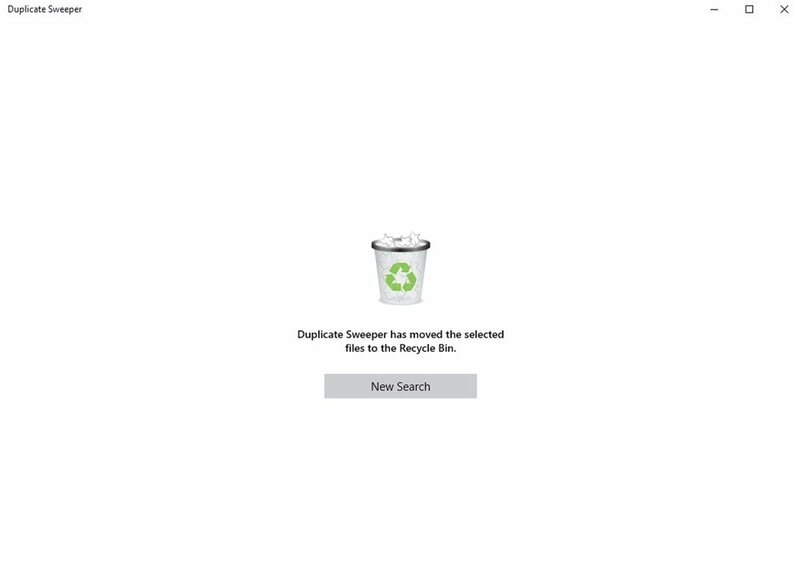 Unfinal removal: send files to the waste bin. 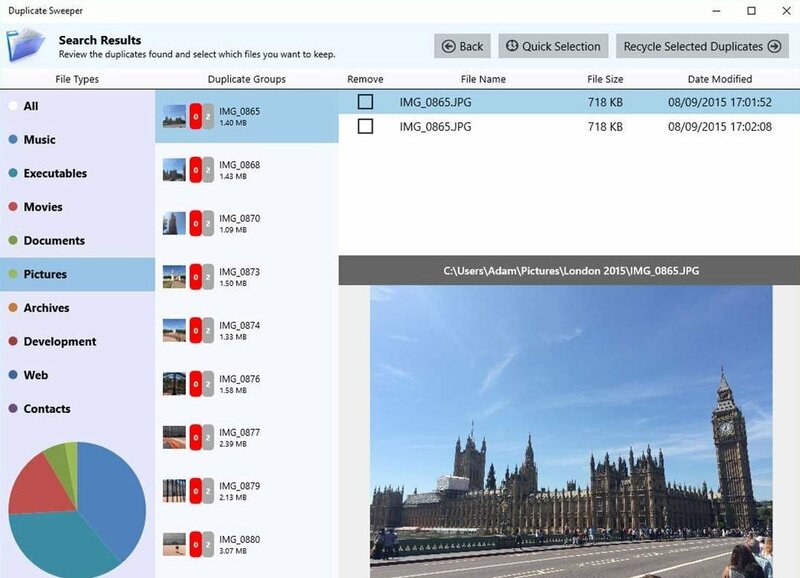 The procedure is based on a safe system as it lets the user decide what do about the deletion of any document by first sending it to the waste bin just in case he changes his mind. 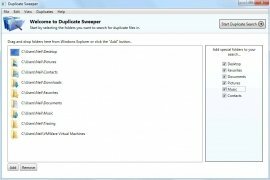 How to find and delete duplicate files on Windows? Step 2: check the results and choose what you want to keep. 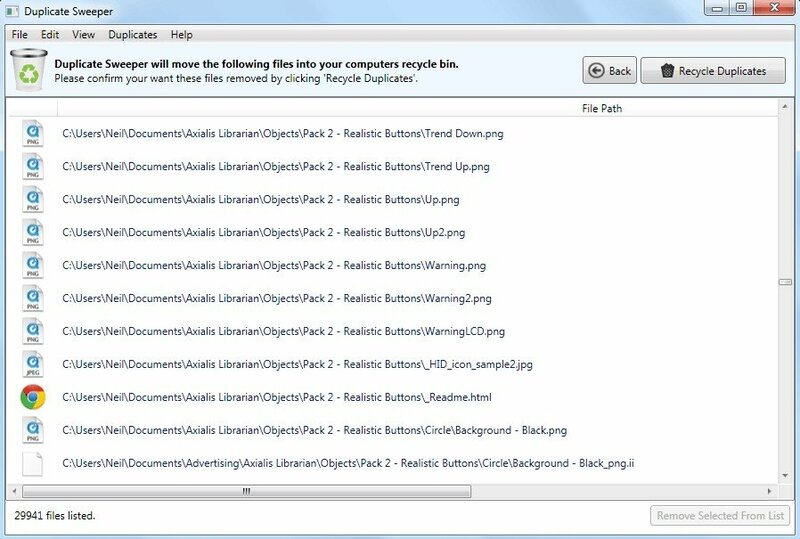 Step 3: confirm and delete the files. 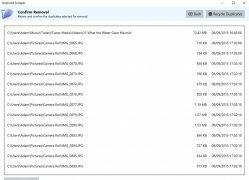 The truth is that it's a simple and fast method to organize our folders in an efficient manner whilst we also recover space on our hard drive. What we're offering you here is the download of the free trial version of this software that's also available for Mac. You can purchase the full version that comes along with all its functions to help you keep your computer in perfect conditions.